How To Use Apple Cider Vinegar For Psoriasis? Psoriasis is basically a skin condition which is caused due to a specific type of autoimmune disorder. This type of problem is recurring in nature and complex too. If in case you notice red as well as flaky patches right on skin, then it’s a clear indication that you have Psoriasis. After using some skin ointment when it gives the feel that there is no sign of getting cured then it is advisable not to ignore it as a common type of skin problems. If you search medical journals on this topic you will find that Psoriasis can occur in many parts of the body. The common areas among them are Lower back, Genital area, Elbows, knees, finger and toenails, scalp, knuckles, navel, underarms, between buttocks and other body folds. 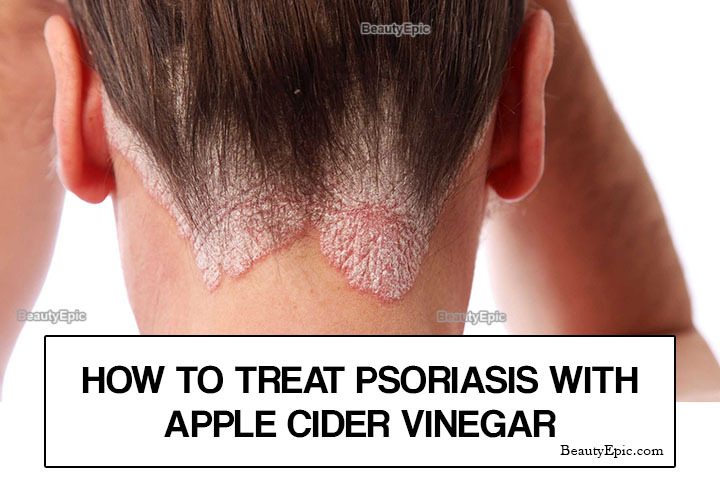 Let us read to know how effective is apple cider vinegar for psoriasis. Does Apple Cider Vinegar Help Psoriasis? Psoriasis is undoubtedly chronic skin disease which is caused due to body’s immune system. Apple cider vinegar is known for its antiseptic properties, and that the reason there is high chance that it may help you in getting rid of itching and irritation caused due to psoriasis. As per The National Psoriasis Foundation, individuals suffering from psoriasis do experience some sudden growth in skin cells. It creates raised patches or lesions, apart from building up of dead cells on skin. Such patches are very itchy and sometimes painful too. As per experts of National Psoriasis Foundation (NPF), apple cider vinegar is known since ancient times as one of the best disinfectant. Using it can help in reducing itching on scalp caused due to psoriasis. But same should be used very carefully as burning can occur as side effect if apple cider vinegar is not used in diluted form. Consumption of apple cider vinegar supports removal of toxins from internal body. This in turn also supports in elimination of all reasons of psoriasis present inside the body. It acts towards improving digestion, burning fat and also helps in losing weight. It works best on scalp. People who trust its use always suggest applying apple cider vinegar right on the scalp several times in a week. Many agreed to the fact that on regular use they noticed fast improvement in few weeks time. In case scalp is having any crack, or bleeding area, then apple cider vinegar may cause excess irritation as well as pain. Ensure to consume it 30 minutes before taking any meal. Repetitions: Make it a habit to drink it in regular basis to get desired results. Damp a clean cotton cloth in lukewarm water for compress. Prepare a Mix using apple cider vinegar with warm water. Spread the apple cider vinegar solution right on affected areas and then compress cloth on affected skin for about 20 to 30 seconds. Repetitions: Repeat the process several times to get relief from itching. How it works: Apple cider vinegar improves the pH levels of skin and supports in reducing irritation. Let your body get the chance to soak in this mixed water for about a period of no less than 30 minutes. Now take a shower to remove the smell of vinegar. Best time to do: Morning. Repetitions: Follow this process for a week and it will start showing you result. Mix 2 to 3 drops of apple cider vinegar with your regular hand lotion. Repetitions: Follow this process daily once. At time of buying apple cider vinegar, you need to take care that you are buying the one which has ‘mother’ of vinegar present in it. Well, ‘mother’ of vinegar is actually a muddy looking grainy object which floats at the top of the bottle containing unfiltered as well as unpasteurized apple cider vinegar. Mother of vinegar is known to have all the essential nutrients as well as enzymes present in it, for treating psoriasis and many other health problems. Do not make the mistake of, buying a clear and filtered apple cider vinegar, and if you do so then be rest assured that it will not offer you any good result for your health condition. The moment you get the indication that you are having psoriasis then take advice of your dermatologist first. When the issue is of psoriasis then the condition will be different for different person and so specialist can tell which method and what proportion of apple cider vinegar will be right for you. Follow the instruction of your expert minutely as this will give you fast relief from the problem with use of apple cider vinegar. Buy the product from a reliable store and do check if it contains the mother of vinegar in it or not. 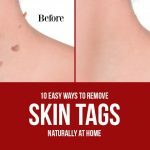 How to Remove Skin Tags Naturally at Home? 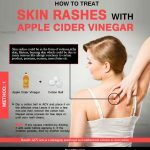 How to Use Apple Cider Vinegar for Skin Rash? 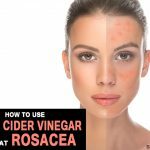 How to Use Apple Cider Vinegar to Treat Rosacea? 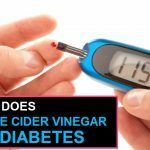 Does Apple Cider Vinegar Help with Diabetes? 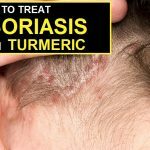 How to Use Turmeric for Psoriasis?